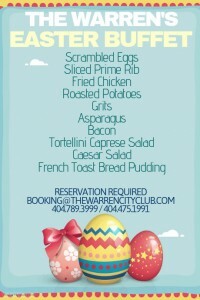 Have you made your Easter Brunch reservations yet? We still have a couple of tables open and can’t wait to share the holiday with you and yours. For just $20 per adult and $10 for kids 6-12, it’s fun and food for the whole family! Call today to make your reservations, and don’t miss out on such lovely specials as French Toast Bread Pudding and Sliced Prime Rib. 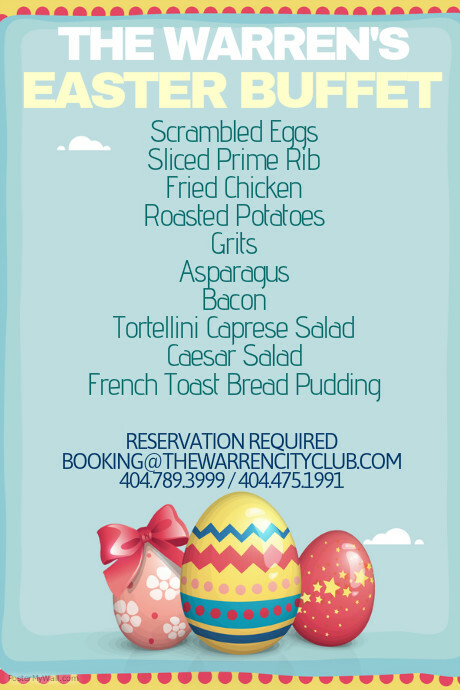 The Warren has everything you need for the perfect Easter Brunch!